In honor of International Day of the Rural Woman, we are celebrating Geeta Devi and the women of Muzaffarpur, who trained to improve their farming businesses, increase their yields, and negotiate better contracts for a more transparent and profitable value chain. Through the WARDA program, Geeta Devi learned agricultural skills to improve her litchi yield, along with business skills to negotiate better contracts that leave more value on her farm. It is 9 o’clock on a bright morning in Bangahara, a small village in Bihar, India. Geeta Devi sits in the courtyard of her home, observing as her husband prepares plant protection spray before he heads out to the orchard. There he will apply the mixture to his litchi trees, protecting them from pests and ensuring a bountiful harvest. Geeta watches carefully, engaged with the process. At 34 years old, she had previously had little opportunity to care for the orchards herself, and had learned little about litchi farming, let alone about running the farming business. 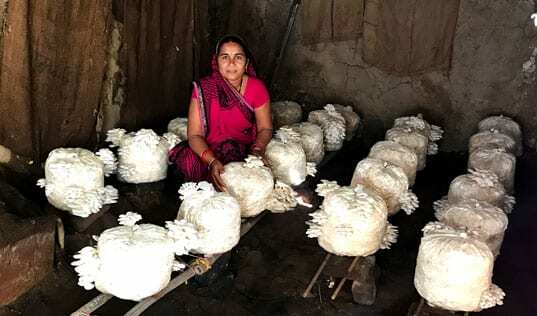 Although her family is supported by litchi and she works as a treasurer at Krishna JEEViKA – her village’s Self Help Group for farmers – her work had been limited to maintaining financial records, followed by household chores at home. Now, however, Geeta is skilled in litchi cultivation, harvest, and trade – a strong farmer and informed negotiator who ensures a good price for her family’s harvest. Geeta’s experience is similar to those of many of her female peers in Bihar. Although the community economy depends on rural agriculture and women often play vital roles in supporting family farms, they are often excluded from the training and knowledge they need to participate in decision-making on the farm. In 2016, TechnoServe launched an initiative to overcome these challenges for rural women and rural economies. The Women’s Advancement in Rural Development and Agriculture (WARDA) program, is a collaboration between TechnoServe, the World Bank, and the Government of Bihar that aims to equip Geeta and thousands more rural women with the skills and knowledge they need to realize social and economic empowerment, and to create prosperous livelihoods – not only as skilled farmers but as skilled businesswomen. The Muzaffarpur district of Bihar is famous for its Shahi variety of litchi, which is considered to be the best among Indian-grown varieties due to its distinct aroma and flavor. Litchi – an indigenous fruit of China – is a delicate and niche fruit. The Muzaffarpur district of Bihar is famous for its Shahi variety of litchi, which is considered to be the best among Indian-grown varieties due to its distinct aroma and flavor. However, the fruit’s delicacy and vulnerability to climatic conditions make it a risky crop for local producers. With a famously short shelf life, litchi requires highly efficient handling from harvest all the way to the end consumer, but smallholder farmers have little to no capacity to bear the cost of those risks and to facilitate these logistics on their own. Worsening – and in part due to – the difficult nature of the litchi value chain was its reliance on intermediaries. The traditional method for farmers to handle the delicate handling of the fruit was to lease their orchards to these intermediaries – essentially informal wholesale and retail traders – who would harvest the litchi, sell it, and pay the farmer-owner a verbally agreed sum, capturing most of the fruit’s final value for themselves. Geeta herself had lost nearly $200 – 26 percent of the promised price – by way of this nontransparent arrangement. In order to keep more of the value from this unique – if difficult – product on the farm, the Government of Bihar and the World Bank helped the women of Muzaffarpur to establish Samarpan JEEViKA Mahila Kisan Producer Company Limited (SJMKPCL) in 2012. 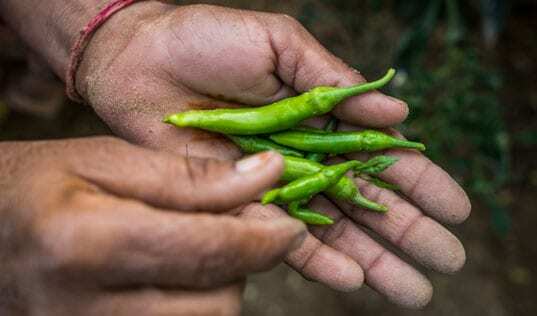 The creation of this women-led Farmer Producer Company (FPC) was part of a wider initiative to provide the support that farmers need to get their crop to market, this time using transparent practices and standardized systems. However, despite the operational improvements, Geeta’s FPC was unable to scale up its activities due to lack of business knowledge and suitable human resources. With motivated membership, the business group simply needed proper training and technical support in order to build a strong and inclusive litchi economy for their communities. This is where TechnoServe applied their business training experience to the FPC initiative. When WARDA came to the community in 2016, they worked with the FPC to create a sustainable, market-led model that would enhance opportunities and incomes for women smallholder farmers. 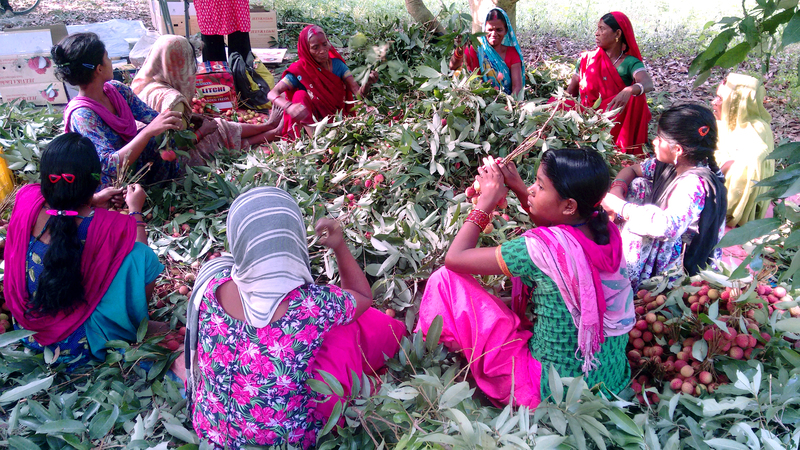 After harvest, litchi must be graded and packed, a complicated process that requires support from the women-led FPCs. One of the first opportunities that WARDA identified to improve the litchi market was to formalize the pre-harvest contracts that farmers made with intermediaries. WARDA staff trained women to negotiate written contracts rather than agree to verbal agreements, and by dealing with FPCs rather than informal traders, the process is transparent, with less value disappearing at the farmgate. These formal contracts are tailored to suit farmers’ unmet needs, boosting income for them as well as the FPCs to which they sell. 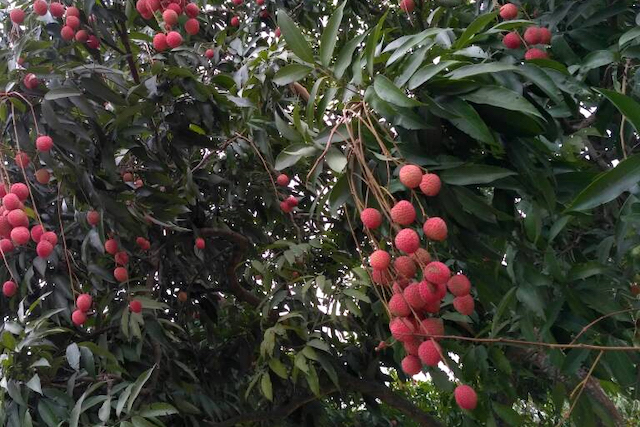 For example, the quality and quantity of a litchi harvest is extremely dependent on irrigation, meaning every player in the litchi value chain prospers when farmers use proper irrigation. However, irrigation can be difficult for farmers to invest in, despite its ultimate reward. To catalyze this win-win practice, WARDA staff worked with FPCs to arrange contracts including payments of 15 Indian Rupees – approximately 25 cents – to farmers for each irrigation. In fact, the contract that Geeta developed with her FPC requires regular spraying against pests as well as irrigation, ensuring a healthy harvest and better sales for all. WARDA also connected farmers with a previously untapped resource, the National Research Centre on Litchi. Leveraging this local, expert knowledge, WARDA trained women on better orchard management practices, introducing them to simple techniques that they could easily implement on their orchards, such as covering litchi bunches in bags to protect them from sunburn and pests. 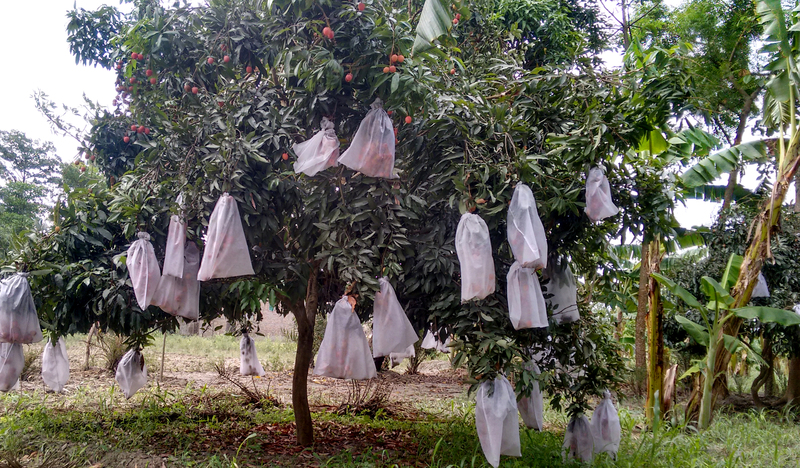 Through WARDA, farmers implemented simple techniques like covering litchi bunches with bags for protection, a method developed by the National Research Centre on Litchi. Finally, to ensure women’s empowerment as financial decision makers at home and on the farm, TechnoServe also implemented payment systems that ensure prompt payment directly to the women farmers. Participating farmers dealing with FPCs are now guaranteed direct payment to their bank accounts within 3-5 business days, providing much needed economic stability within farming households – especially considering that 90 percent of income paid to women is reinvested into their families, versus 35 percent for men. WARDA ultimately aims to help 2,000 women farmers to open their own bank accounts. 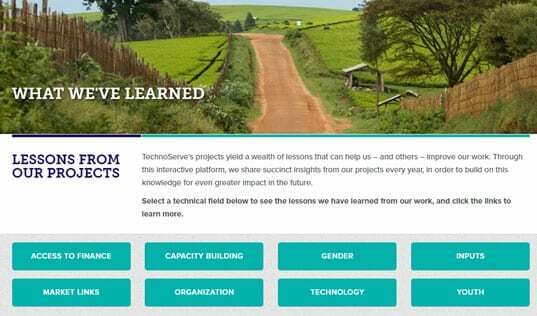 Finally, TechnoServe rounded out this new and improved, farmer-first litchi supply chain by connecting the women farmers with NeML-FFresh, an online platform linking buyers directly with the FPCs. So now, higher-quality, women-grown litchi is aggregated by the women-led FPC – which serves not only as a technical and economic support for farmers, but as a transparent and direct intermediary for buyers – and litchi can be sent from the orchards of Muzaffarpur and arrive on supermarket shelves in distant, metropolitan Bengaluru in just a day. This holistic, market-based approach to transforming the litchi value chain for women is making great change in the community. In May 2016, Geeta’s FPC launched as a pilot program, with 12 women farmers supplying 6 metric tons of litchi. In just one year, 130 farmers are now supplying 32 tons, and the FPC plans to incorporate many more. Read about TechnoServe's other initiatives supporting rural women.